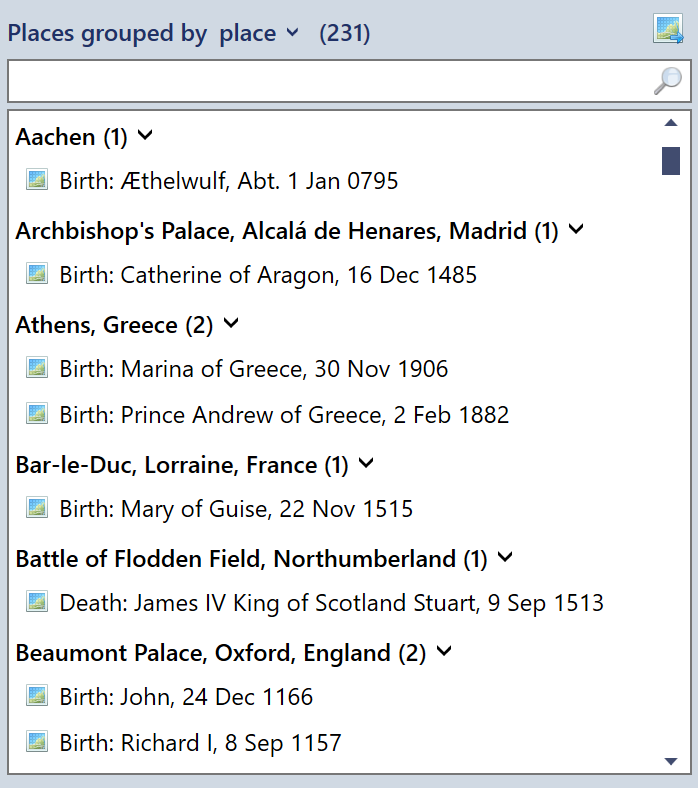 The Places view includes an interactive map viewer which allows you to search for places mentioned in your family tree. Places are displayed in groups by person, place, address, repository or author. The list can be filtered using the filter box above the list. Groups of places can be collapsed / displayed by clicking the group title. Fig 1. Places grouped by description. You can search for a place name or navigate to a pair of latitude and longitude coordinates by typing these into the search box. Click the search button to start the search. Multiple matches will be listed beneath the search box and single results will be immediately displayed on the map. Fig 2. The search box. To get the best results from a place name search start a query with the most specific detail e.g. the village or town and then become more general e.g. the county or country. Search options can be accessed by pressing the button. You can customise some parameters of the search. Use the search area to limit the search to a particular country. Fig 3. The search options. The map viewer can be used to navigate to places or to search for places. If the place has coordinates the map viewer will automatically navigate to that place when it is selected from the places list. Fig 4. The interactive map viewer. The map controls are simple to use. Pan the map using the mouse or touch. Zoom in or out using the mouse scroll wheel or the zoom in and out buttons. Fig 5. The map controls. All instances of a place in the selected group are edited simultaneously using the edit place panel. There are also tools to geocode place names. Fig 6. The edit place panel. 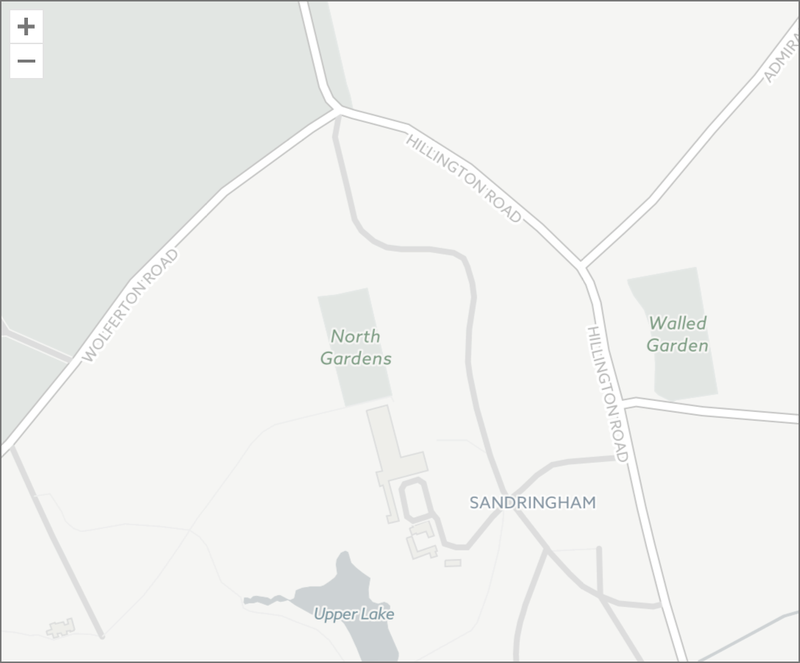 To match a partial place name or geocode a place name, click the button in the place editor to search. Two types of result are shown: local matches from your file and online matches from third party data sources. Select the best match and click the button to make the changes. You can also add missing coordinates directly from a point on the current map. Right click a place and select "Select coordinates from map". 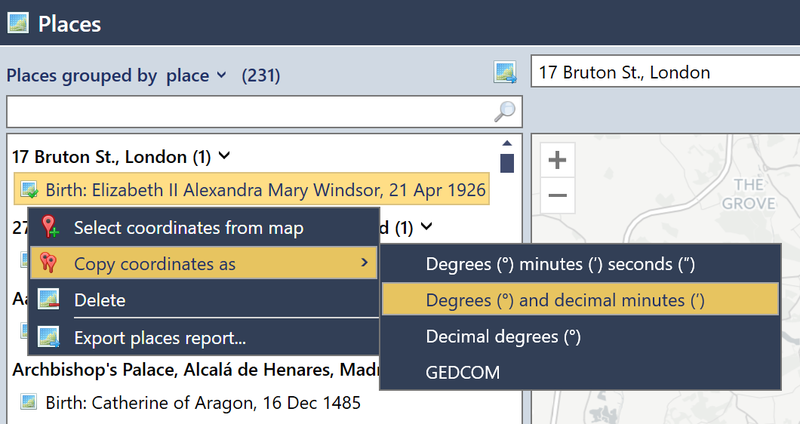 Places with resolved coordinates are shown with an icon in the places list. These can be filtered by entering "resolved" or "!resolved" (unresolved) as a filter query. 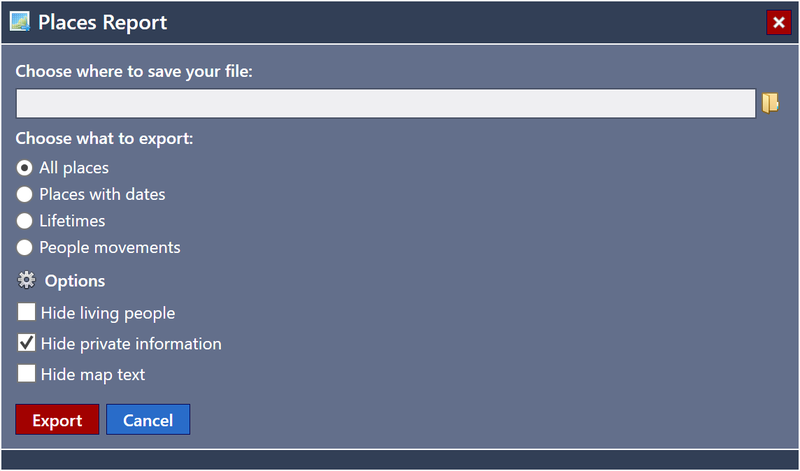 To delete a place, select it in the places list and press the "Delete" key or right click to choose "Delete". Place coordinates are stored in a culture decimal degrees format. Coordinates can be entered in degrees/seconds/minutes format with N, E, S, and W suffixes and these will be converted to this format. To copy coordinates in another format, right click a resolved place in the places list, select "Copy coordinates as" and choose one of the possible formats. Place coordinates are stored in decimal degrees format. To copy coordinates in another format, right click a resolved place in the places list, select "Copy coordinates as" and choose one of the possible formats. 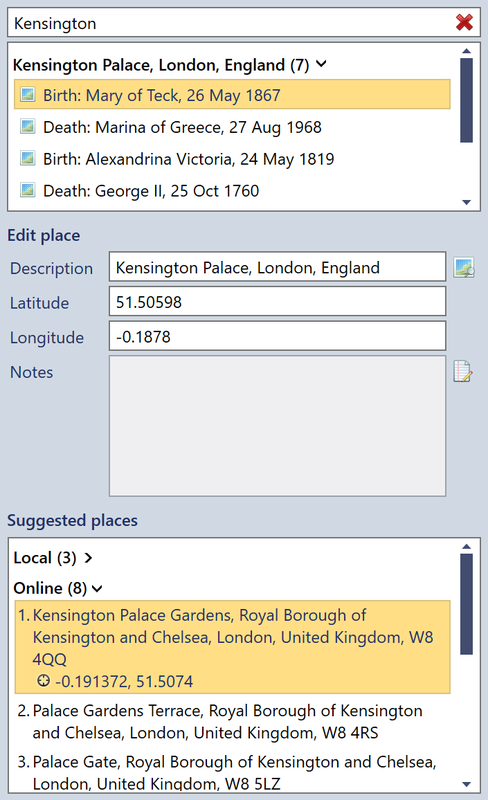 Use the Places Report tool to export place information for use in other mapping services. The tool creates a Keyhole Markup Language (*.kml or compressed *.kmz) file containing the places of all the events in your family tree along with coordinates and dates if these are known. Fig 8. The Places Report tool.